The Pentax P30 series (P3 in the US) is often not at the top of the SLR shopper’s list. But these models are actually quite capable, abet slightly flawed, and are a cheap way into the fantastic K mount series. 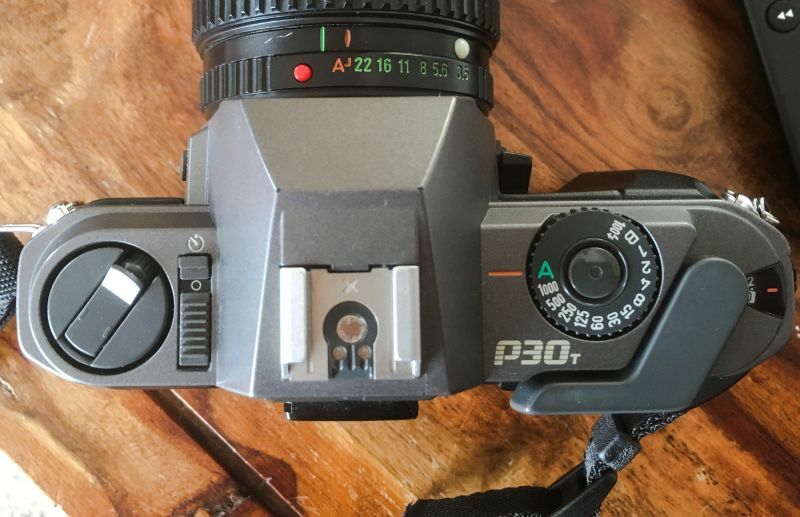 The original P30 lauched in 1985 is a small K mount manual focus SLR body. It offered shooting in a full automatic programmed exposure mode but for the more tricky shots you could move to full manual (there also was the option for Bulb and dedicated TTL flash). The later P30N and the P30T importantly add an Aperture Priority mode (AP) and a cable point. The P30T featured here was the last in the series and only really differs from the N by having a diagonal rather than horizontal split focus circle and a plastic film door. Plastic is a common theme here as much of the camera was made mainly in It. It still feels fairly solid and the grip on the right side works well. You get an electronic timer, cable point, film window on rear and exposure lock button but even better there is a Depth of field preview button. Oddly there’s no EV compensation dial which given this a DX coding film speed setting camera is a major oversight IMHO. Film is manually wound on but features an easy load system (there’s no option here for an autowinder – the closely related P50 (P5 in US) does have the option). Nor can you change the focusing screen or lock the mirror. So how does it shoot. Remember in terms of the final image the camera body adds nothing optically. It is all about exposure and ease of use. The camera has an on off switch but metering doesn’t start til you touch the shutter (it remains on even after you take your finger off. The viewfinder is a joy to use fairly bright and big and uncluttered with only shutter speeds LEDs lightning up on left margin. In program mode a P appears at the top and the selected speed. In AP and manual the current speed and target speed are shown. There is a central focusing microprism ring around the split screen focusing aid. Program – Using manual focus K-A or later lenses press red button on aperture ring and move to A. Newer AF lens with automatically be in this mode. With the P30 you can set the shutter dial to any speed but the P30N &T needs the shutter dial set to A too. Note manual lens lacking A on ring can’t be used for program. The camera uses centre weighted TTL metering. Whilst this was becoming outdated with matrix metering systems appearing with AF cameras, it is still pretty good and I found the camera was pretty good even in complex light situation. The program mode is pretty basic when you look at the charts in the manual reminiscent of the auto exposure seen in 70’s compacts. It doesn’t have as wide a shutter range as my Nikkormat EL a camera over a decade older but then again you’re unlikely to miss a 2 or 4 sec setting. However the lack of EV compensation is a noticeable irritant forcing you to calculate in manual mode. Shutter isn’t quiet but isn’t the loudest. Flash has impressive support. With the correct dedicated unit you can shoot in Program auto, AP or even for slow sync. The camera can support non dedicated units using 100/ setting but you’ll need to make sure your unit won’t fry the camera. This is often maligned as a low-end plastic number which wasn’t even made in Japan (try finding a camera these days that is) but it is well made and has mind-boggling lens support. The big issue is the lack of EV compensation. If you can live without that and want or have K mount lenses then this is steal. I’d buy the P30N or T to get the AP option and cable point. The related P50/P5 addresses the EV compensation issue but you’ll have to live with LCD screen instead of shutter speed dial. Recent eBay sells bodies only from £4-15. Alan, a great camera to recommend, something of a lost model in the Pentax range. As you said, most people look for the older ME, ME Super etc. I’ve had a couple of P30Ts and a P50 and they were fun to use, and gave excellent results. I used mine with K mount lenses – three I’d highly recommend are the Pentax-M 50/1.7, Auto Chinon 50/1.7 and Ricoh Rikenon 50/2. 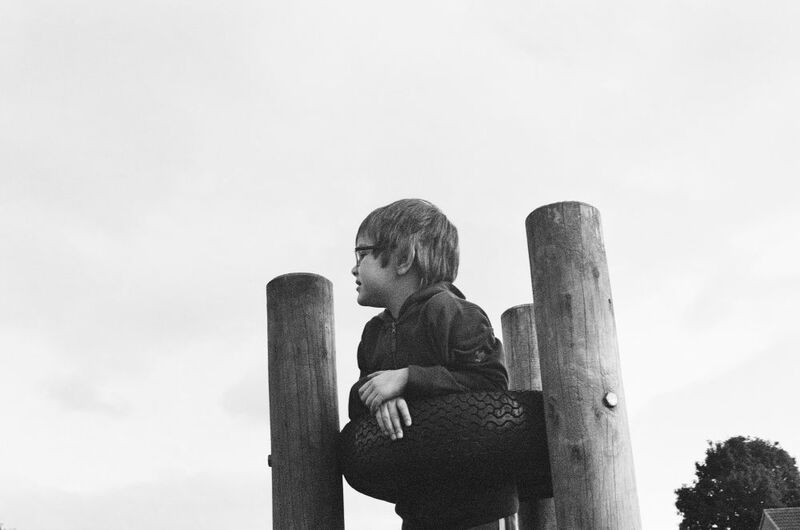 The Pentax and Chinon lenses are fantastic, there’s very little between them. The Rikenon 50/2 was a real surprise, capable of brilliant images, and the smaller (later?) version is very light and compact, a great companion to the P30T. You could use that combo for the rest of your life and get consistently pleasing images. If you want the shutter priority and program modes also, go for a Pentax-A lens. The 50/1.7 is optically identical to the Pentax-M version I believe so can also give stunning results. The only thing I don’t like with the A series lenses is the plastic aperture ring, it just feels a bit cheap compared to the metal one on the Pentax-M lenses. Unfortunately the shutter stopped working on one of P30Ts, it just went dead one day, so it was likely an electronics issue. I don’t think this is common though, given how many are still around on eBay in good working order. I would also suggest the slightly older (and in my view superior) Super A. This is probably my favourite Pentax M or A body I’ve used, and is brilliant in almost every way. It feels much sturdier and better built (more metal) than the P30. The only downside is the silly aperture/ shutter speed display in the viewfinder. It’s digital, too small and too dark. On the plus side it’s right at the bottom below the main VF so if you’re shooting Program mode or aren’t too concerned about double checking the shutter speed when on Aperture Priority, you can ignore the digital display and enjoy the large bright clean VF. I agree, this is an absolute bargain at the prices they go for on eBay. I just bought a second P30T this evening for £13. I’m off skiing soon, and don’t fancy risking falling down a hillside with a mint MX or the K1000 that I’ve owned since I was 11 in my rucksack. Better still, the P30T is light enough that I suspect I’ll take both bodies out at once so I can shoot two different films. By the way, I often work around the exposure compensation issue by pointing the camera at a part of the scene that I think will represent the exposure I want, pressing the exposure lock button, then recomposing and shooting. It’s not always an option, but works well when it is. 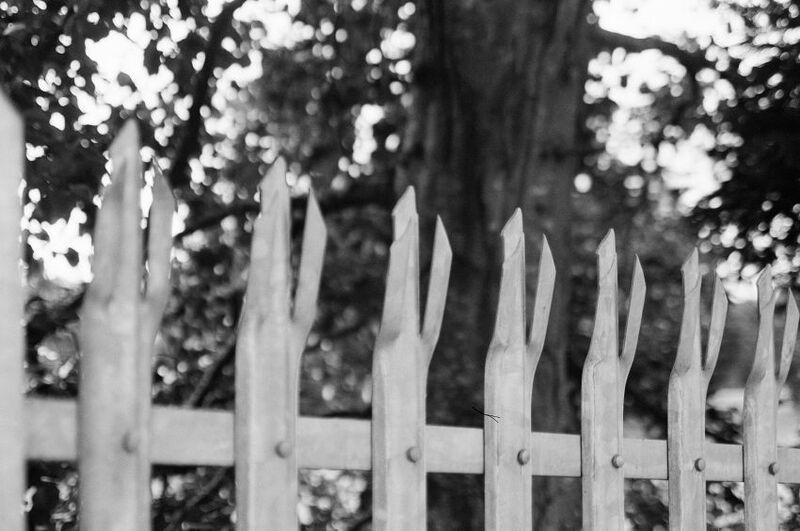 I agree – the P30s are the unsung heros of film photography. Finally they have the winner point for buying today – they are in plentiful supply on auction sites, are inexpensive to buy, cheap to run on standard batteries, have electronic shutters and Silicon diode exposure that keep accurate and fit mount K lenses from any maker (even those Ricoh ones with annoying aperture pins). In the end – all cameras are a box with a light path from lens to film. More mechanics and electronics in the end cannot improve the image. In the last 6 months I have picked up 3 of them (when one breaks I’ll have a spare or 2) – along with a range of lenses from 28mm to 200mm for the price of one well used Nikkor 135mm f2.8 (One P30 was GBP £2 with a 50mm lens only last week). So that should set me up for the next 10 years of film photography then! Yes – there are program, motor driven, matrix meter, autofocus Pentax cameras to buy instead – but for that type of photography I will use a digital camera with 50 point AF and 100 area matrix metering at burst frame shooting speed with tracking autofocus! 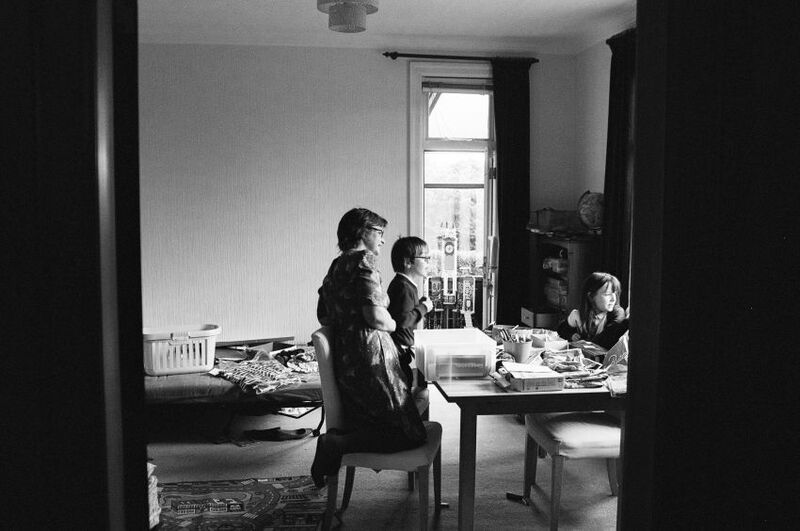 Just like “slow food” – welcome to the world of “slow photography”. I have had a P30T from new, it was my first SLR and was sold as a kit (P30T plus 28-80mm zoom and AF260sa flash in a small bag) loads of these combinations on ebay. Its a great beginner camera that i still use regularly. I also have 2 super A bodies by comparison. What I like about it; compact, nice clear speed readout which as a lefty I can still see with the ‘wrong’ eye. Whilst is metal/plastic it feels comfortable to use and is quite tough. It is also lightweight and balances well with the 50mm A 1.7 and 28mm A 2.8 lenses. Its now very cheap to buy and as a later model manual camera is a good buy for reliability. Negatives; I also use it with a 50mm A 1.4 but this leaves it a bit unbalanced weight wise (better with the heavier mainly metal Super A). Its doesn’t have the classic look of the earlier cameras but its unobtrusive to use and doesn’t shout steal me either so this can be a benefit. I have never found the lack of EV compensation to be a problem as the Memory Lock (ML) feature allows to you achieve the same end in program or aperture priority. To the extent i find myself trying to do this on the super A only to turn on the viewfinder light instead! 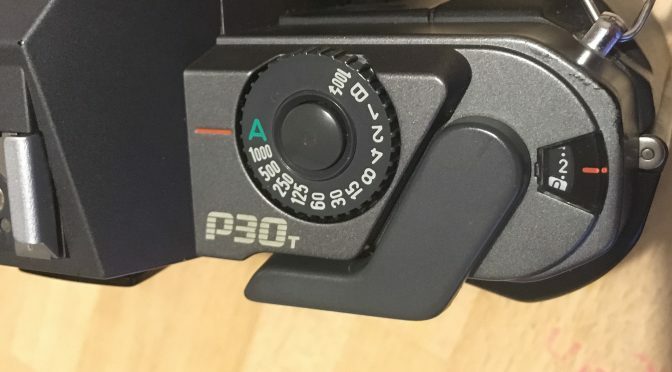 The P30T/N are cunning bargain cameras for K mount shooters. They don’t have the cachet of the all metal numbers but as ever with any SLR it’s 80%+ the glass that matters not the body. 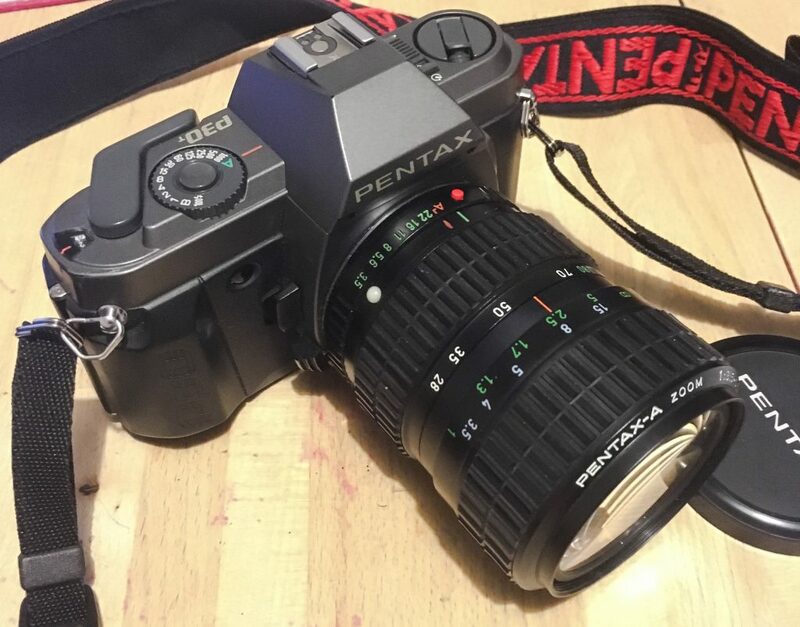 I bought a cheap Pentax P30t from e-bay in mint condition. 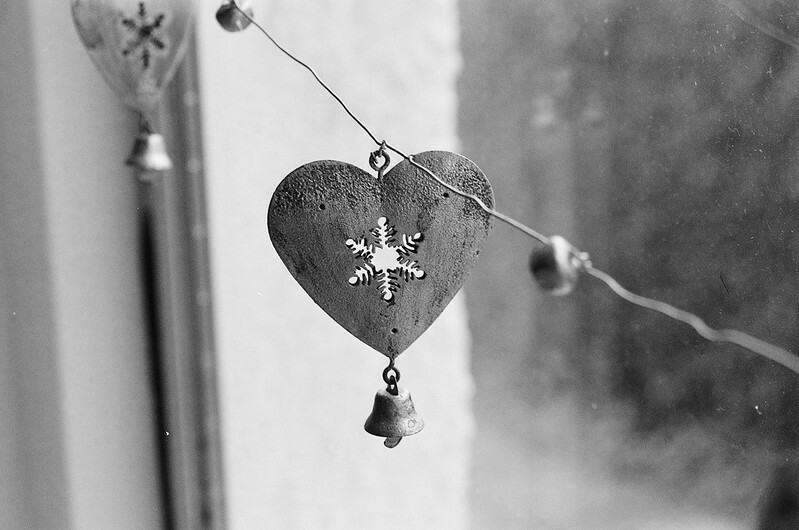 I am using a 28mm Pentax lens and the results are brilliant. This camera, like my Leica R8, cannot take a bad photo!